Though HP arguably made its biggest splash of the year in September when it announced its Metal Jet 3D printing technology, the influential company has saved some exciting tidbits for Formnext as well. Notably, the company has announced new strategic partnerships, including new clients, new applications and a new software collaboration. The company is also showcasing a range of its technologies, including Metal Jet printing, at Formnext this week. To get things going, HP has announced a handful of new partnerships through which it is expanding the adoption of its Multi Jet Fusion technology around the globe. The first is with Chinese company RecTech 3D, an industrial contract manufacturer which has adopted HP’s MJF platform to expand its Additive Manufacturing Center in Chongqing, China. With HP, RecTech plans to offer design and application expertise to its customers. As per the agreement, RecTech 3D will install 10 of HP’s Jet Fusion 3D 4210 3D printers at its center in early 2019. The company has already announced its intentions to scale up its HP fleet to 30 units by the end of 2019. U.S.-based Forecast 3D, a provider of 3D printed parts, has also integrated 24 HP Jet Fusion 3D 4210 systems at its digital factory, enabling it to grow its business significantly. GE Transportation, which supplies equipment and solutions to the rail, mining, marine, drilling and stationary powder industries, has also added HP 3D printing systems at its John F. Welch Technology Center in Bangalore, India. There, the machines will be used to produce industrial parts for various mining vehicles and locomotives. At Formnext, HP has also revealed a number of new applications for its MJF technology being undertaken by a range of companies. 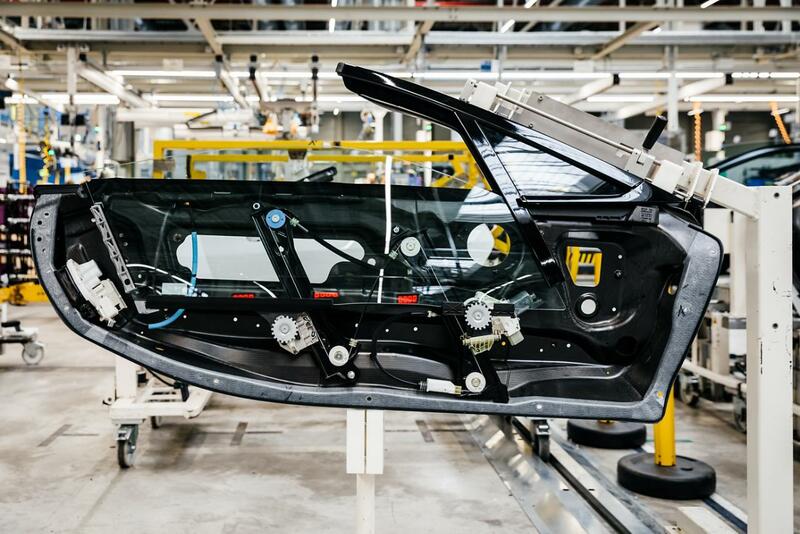 For instance, BMW Group is leveraging its Jet Fusion 3D 4200 solutions to produce window guide rail parts for the BMW i8 Roadster. 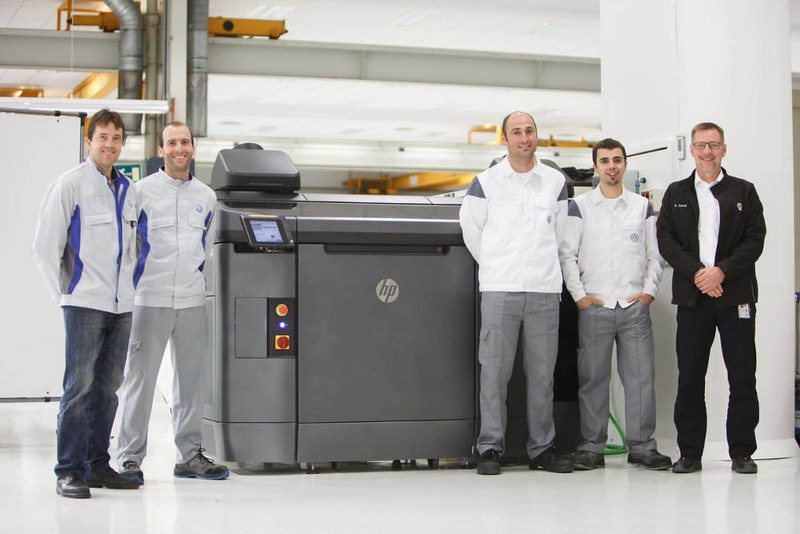 Volkswagen Group, for its part has used HP’s technology for both plastic and metal applications. According to the company, it plans to 3D print 100% of the tools for its T-Cross SUV using HP’s Multi Jet Fusion technology by the end of the year. Volkswagen is also integrating HP Metal Jet into its long-term design and production roadmap. The first stages of the roadmap will consist of producing mass-customized parts such as individualized key rings and exterior mounted name plates. HP has also made public a partnership with 3D software leader Autodesk, through which they will launch an integrated end-to-end additive design-to-print workflow for HP’s Multi Jet Fusion platform. Autodesk Fusion 360’s generative design capabilities can be used to create optimized designs for the HP 3D printing platform. Autodesk’s Netfabb software platform also offers support for a full range of HP Jet Fusion 3D printers.